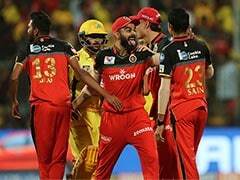 During the summit clash, Harsh Goenka, brother of RPS owner Sanjiv Goenka, compared Smith and Dhoni with the iconic Bollywood movie Sholay's pair of Jai and Veeru. Harsh Goenka compared Smith and Dhoni with the iconic Bollywood movie Sholay's pair of Jai and Veeru. A Rohit Sharma-led Mumbai Indians (MI) defeated Rising Pune Supergiant (RPS) in a low-scoring final to lift the Indian Premier League (IPL) 2017 title on Sunday. 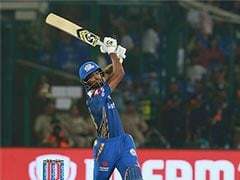 In a match that went right down to the last ball, MI registered a one-run victory in front of packed stands at the Rajiv Gandhi International stadium. 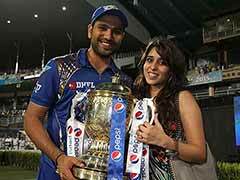 This is third IPL title for the Mumbai outfit. During the summit clash, Harsh Goenka, brother of RPS owner Sanjiv Goenka, compared his team's captain Steven Smith and MS Dhoni with the iconic Bollywood movie Sholay's pair of Jai and Veeru. Amitabh Bachchan as Jai and Dharmendra as Veeru starred in the iconic Bollywood movie Sholay, which is regarded as the best on-screen partnership between the two. In his tweet, Goenka also compared Dhoni and Smith with the popular English comedian pair of Laurel and Hardy. Chasing an easy target of 130 runs, RPS could only manage 128/6 in their 20 overs. Australian fast bowler Mitchel Johnson was the most successful for MI with figures of 3/26, while young pacer Jasprit Bumrah also played a crucial role, returning figures of 26/2 in four excellent overs. Veteran Sri Lankan pacer Lasith Malinga also bowled well and was unlucky not to manage a wicket. He conceded just 21 runs in his four overs. RPS skipper Steven Smith led from the front scoring a fighting half-century in a losing cause. He notched up 51 runs off 50 deliveries with two boundaries and an equal number of sixes before falling in the last over. Mumbai Indians won the IPL 2017 title. Steve Smith scored 51 runs. Mumbai Indians won the IPL 2017 final by 1 run.